The Road Safety Centre said traffic accidents during the past three days of the Songkran festival have claimed 167 lives and 1,795 i juries. It said only in a single day yesterday, the third day after the campaign “7 Dangerous Days” was launched from April 11-17, 79 people were killed, and 752 injured in a total of 748 traffic accidents recorded from roads and highways nationwide. In total, the centre said altogether 167 people died and 1,795 others were injured during the past three days of the campaign to reduce traffic accidents. 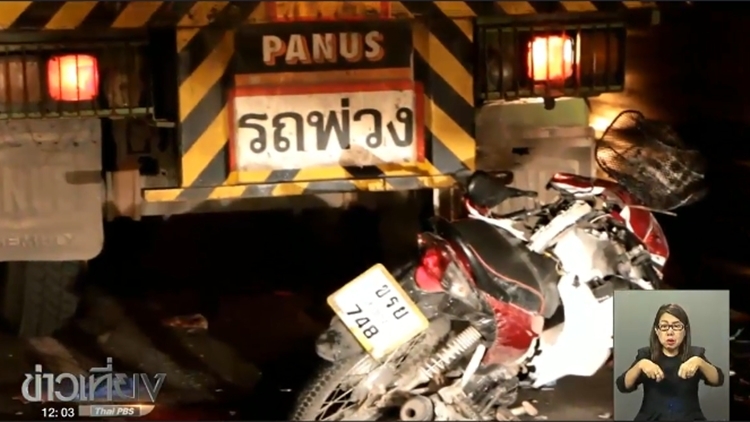 Chiang Mai and Udon Thani topped the most accidents in the past three days of 33 accidents each. However for fatality count, Bangkok and Sakhon Nakhon came first with highest fatalities in three days of five each, while Chiang Mai came on top for injuries of 37 people.